Having been a juror and a curator of art competitions, I can say that there are mistakes that are consistently made by entrants that negates them from becoming a contender in the art competition they are applying for before the reviewing process is done. "8 Mistakes To Avoid When Entering Art Competitions"
Understand what the art organization (who is running the competition) wants from the artist. If the prospectus or rules state that the competition is for 2 dimensional art, do not submit your jewelry, sculpture or crafts. If it says no photography, do not expect the organization to provide to you an exception. 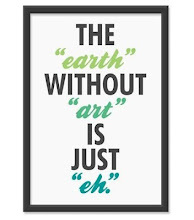 There are numerous other venues and organizations who are conducting calls for your type of art. If you have any questions or concerns about the theme or what is acceptable media, contact and discuss this with the organization’s event staff first, prior to submitting your art. You can save yourself and the event staff a lot of trouble, wasted time, effort and money." YOU CAN READ THE REST OF THE ARTICLE HERE. The advice the Mr. Marsh shares with his audience in this article is one that all artists should sit up and pay attention to. I would also add that if you are not willing to learn how to photograph your images properly and prepare them for submission, then, for heaven's sake, hire a professional to do it! If you don't know of one, ask around amongst fellow artists and see which name is used the most and go with that one. Especially if your work is 3D-it is very difficult to photograph 3D art objects properly. I would advise on not taking a DIY approach to this. 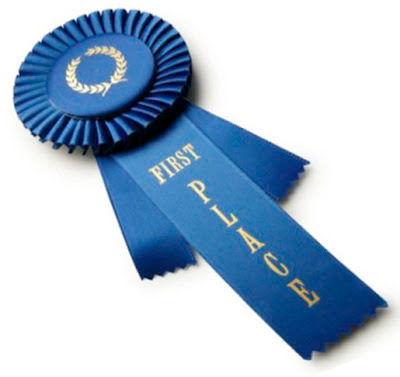 I've heard artists complain about the art work that wins the overall competition (as in, 'why did that one win? ')-trust me, a lot of this has to do with submitting a good quality image of your work to begin with. When it comes to on line entries, the juror can only go by what they see in front of them. More and more art competitions are done by on line submissions, so if you want your best shot at any of these, be very mindful about following the submission guidelines and submitting the best image representation of your work. How Do You Describe Yourself And What You Do?